While much of the suburb remains as undeveloped blocks of bush mixed with large rural properties, some areas have built-up residential estates. Two of Brisbane's main roads, the Gateway Motorway above and Old Cleveland Road underneath, cross at a large intersection in Belmont. Belmont has become an affluent suburb with large estates sitting on acres of land. Homes can range from around 3,500 square feet (330 m2) to 10,000 square feet (930 m2) and over. In the 2011 census, Belmont recorded a population of 4,594 people, 51.6% female and 48.4% male. The median age of the Belmont population was 37 years of age. 72.7% of people living in Belmont were born in Australia, compared to the national average of 69.8%; the next most common countries of birth were New Zealand 5.3%, England 3.7%, South Africa 1.3%, Italy 0.9%, China 0.8%. 81.9% of people spoke only English at home; the next most popular languages were 2.5% Greek, 1.4% Italian, 1.3% Hindi, 1.3% Mandarin, 0.9% Cantonese. The local indigenous people hunted and camped within the creeks and hills of Belmont, both before and after white settlement of the area. A corroboree ground existed on banks of Bulimba Creek and mineral springs near Mount Petrie were a popular camping spot for the Aboriginal people. Andrew Petrie had reported that fine timber existed in the area. The Hoop Pine brought timber cutters to the area in the 1850s and by the 1860s and 1870s the cleared land near the creeks and the rich soils from the cleared forests were used to grow sugar cane. As sugar production declined in southern Queensland, farmers moved to growing pineapples, bananas and small crops including tomatoes, potatoes and grapes. Dairies and fodder farms were also located in the area. August Charles Frederick Bernecker gave the name Belmont to his new estate outside of Brisbane and this name spread to the rest of the area. Belmont State School opened on 5 June 1876. The local government area Belmont Division was split from the Bulimba Division in 1894 and by 1901 this became the Belmont Shire. Belmont Shire was a larger area than Belmont today with parts now included in the suburb of Carindale and other suburbs. From 25 May 1912 the Belmont Shire Council operated the Belmont Tramway, a 3-foot 6 inches (1,067 mm) gauge steam tramway from Norman Park railway station to a terminus near the present State School. The line closed following the amalgamation of Shire into the City of Greater Brisbane in 1925. The public school for the area is Belmont State School opened in 1876. (27°30′10″S 153°06′54″E﻿ / ﻿27.50283°S 153.11506°E﻿ / -27.50283; 153.11506﻿ (Belmont State School)). The Belmont Rifle Range (27°30′37″S 153°08′01″E﻿ / ﻿27.5103°S 153.1335°E﻿ / -27.5103; 153.1335﻿ (Belmont Rifle Range)) hosts a number of sport shooting clubs. It was the venue for shooting events for the 1982 Commonwealth Games and will host again the same events in 2018 Commonwealth Games, and site of the 2011 World Long Range Championships. To the south of the rifle range is Mount Petrie. ^ Australian Bureau of Statistics (27 June 2017). "Belmont (Qld) (State Suburb)". 2016 Census QuickStats. Retrieved 14 April 2018. ^ "Find a postcode". Australia Post. Retrieved 4 January 2014. ^ "Chandler Ward". Brisbane City Council. Brisbane City Council. Retrieved 12 March 2017. ^ "Doboy Ward". Brisbane City Council. Brisbane City Council. Retrieved 12 March 2017. ^ a b "Belmont (entry 42561)". Queensland Place Names. Queensland Government. Retrieved 16 April 2014. ^ a b Australian Bureau of Statistics (31 October 2012). "Belmont, Qld (State Suburb)". 2011 Census QuickStats. Retrieved 10 October 2013. ^ "Agency ID4837, Belmont State School". Queensland State Archives. Retrieved 16 April 2014. ^ "About Us". Belmont Range. Archived from the original on 16 April 2014. Retrieved 15 April 2014. 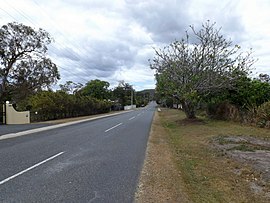 Wikimedia Commons has media related to Belmont, Queensland.